The Corndell Annecy 3+4 Drawer Chest is hand painted in non-toxic and child safe paint to BS EN 71 standard and available in seven finishes. White Cotton Buttermilk Taupe Haze Ledum Fawn Dimensions H: 950mm W: 1240mm D: 425mm If you would like further information about the Corndell Annecy range please contact us on 01793 513444. 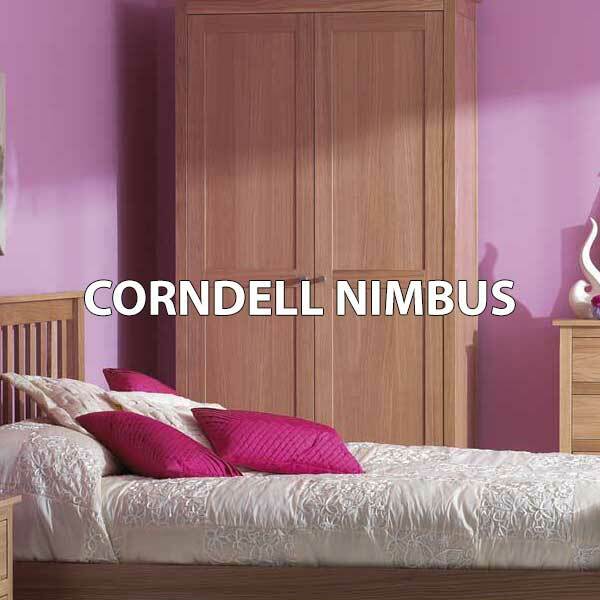 The Corndell Annecy 6 Drawer Tallboy is hand painted in non-toxic and child safe paint to BS EN 71 standard and available in seven finishes. White Cotton Buttermilk Taupe Haze Ledum Fawn Dimensions H: 1440mm W: 530mm D: 425mm If you would like further information about the Corndell Annecy range please contact us on 01793 513444. The Corndell Annecy Cheval Mirror is hand painted in non-toxic and child safe paint to BS EN 71 standard and available in seven finishes. White Cotton Buttermilk Taupe Haze Ledum Fawn Dimensions H: 1630mm W: 710mm D: 435mm If you would like further information about the Corndell Annecy range please contact us on 01793 513444. The Corndell Annecy Double Pedestal Dressing Table is hand painted in non-toxic and child safe paint to BS EN 71 standard and available in seven finishes. White Cotton Buttermilk Taupe Haze Ledum Fawn Dimensions H: 820mm W: 1240mm D: 430mm If you would like further information about the Corndell Annecy range please contact us on 01793 513444. 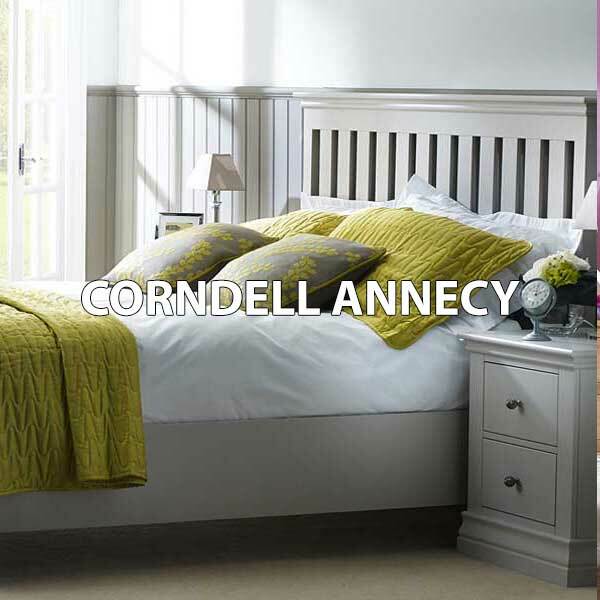 The Corndell Annecy Narrow Bedside Chest is hand painted in non-toxic and child safe paint to BS EN 71 standard and available in seven finishes. White Cotton Buttermilk Taupe Haze Ledum Fawn Dimensions H: 535mm W: 385mm D: 425mm If you would like further information about the Corndell Annecy range please contact us on 01793 513444.